Sunshine, Videos, and Elections…It Must Be Spring. First of all, I want to say thank you to everyone who helped make Parkour Day a great success. Without our sponsors, the friends and family who helped us set up the course, the performers who put their heart into every step, and the spectators who were so appreciative of what we do, Parkour Day wouldn’t be possible. Thank you all so much for your support! And though it might sound crazy, spring means summer is just around the corner. With the academic year coming to a close, it’s time to start thinking about leadership for next year. Officer elections will be held at practice on Monday, April 22nd. Members, please consider running for an office or nominating someone, and be there on Monday to vote! 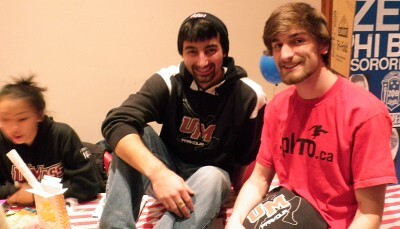 This is the final blog post that I will be writing as I am graduating from UMass in a few days. As I sign off I would like to thank everyone who I’ve met in the parkour community and those who support us. These last four years have been amazing and I have this club to thank for that. We’ve grown immensely as an RSO and I hope that growth continues in years to come. I’ll keep this short as I’ve finals to study for, always remember: keep playing. In order to pass along the club, the members have elected a new set of officers for the following two semesters. 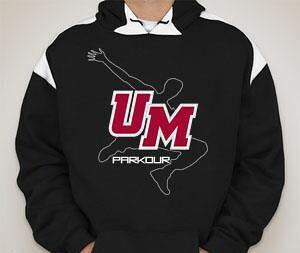 Finally, I’d like to share some media from the regional event that UMass Parkour just put on. We’ve got a video by former president Jackie Hai, an article in the Daily Collegian and a post on the WFPF College Blog. So if you’d like more info on what we accomplished, check out the links! 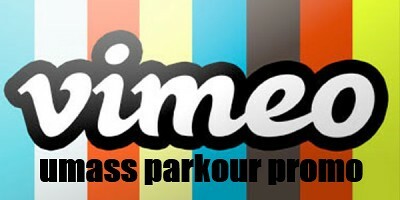 Vimeo Promo Video for UMass Parkour! 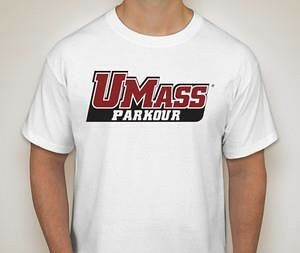 Check out the newest video about UMass Parkour! A couple of interviews from Scott, Travis and Amy fill you in on the goings-on of our movement club! If you’ve ever thought about joining the club, now would be a great time as the weather is getting warmer and Parkour Day is coming up soon! The club practices Monday through Thursday from 6:00-7:30PM and Saturdays at the same time in the activity room upstairs at the rec center. All practices are free and open to anyone who signs a waiver. So, come check us out, watch and hopefully you’ll want to come check us out! 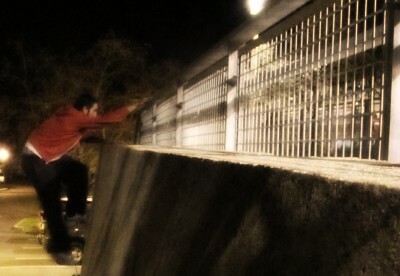 Parkour starts earlier! We are now meeting from 6:00-7:30pm Monday through Thursday, meet at the front entrance to the Fine Arts Center! All skill levels are always welcome, so come train.